KITAP - Tatar Association in Prague. NGO. The word "KITAP" in Tatar means "a BOOK", which is symbolic - the culture and traditions of each nation - are as a new book to explore. 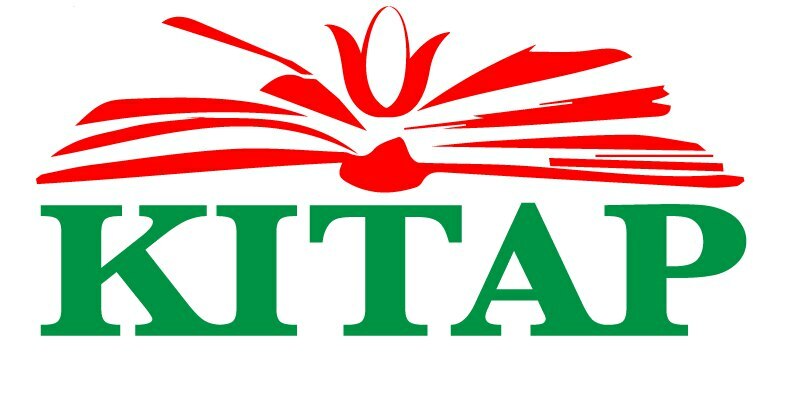 One of the goals of our association KITAP is to show our culture, to promote our culture, to inform interested people about our traditions and identity. It’s amazing, how far is being spread the glory of the Tatar nation’s cultural heritage and the breadth of our soul, thanks to the diligence of some representatives. Tatars can be found in every corner of our planet. 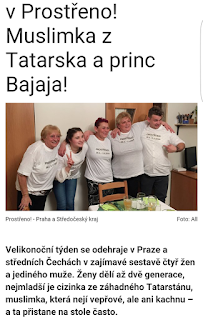 We, Tatars in Czech Republic, also decided to inform society about the rich culture of Tatar nation, and hereby we have established, by our own efforts, non-commercial organization – KITAP. 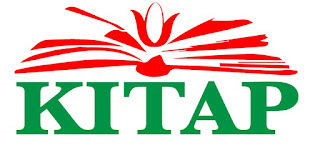 The word “Kitap” translates from Tatar language as a “Book”. In the hospitable and friendly Czech Republic, Tatars can be also found. Although, we are here about a 1000 (according to some statistical dates), only a small part of us get together to represent our rich culture. However, few people know about who are the Tatars. In addition, the whole Tatar culture is diverse, due the fact of prevalence of Tatars in the world. Moreover, even the mentality, knowledge, interests and the culture itself differs from one region to the other, from one family to the other, from one Tatar to the other… depending on origin. 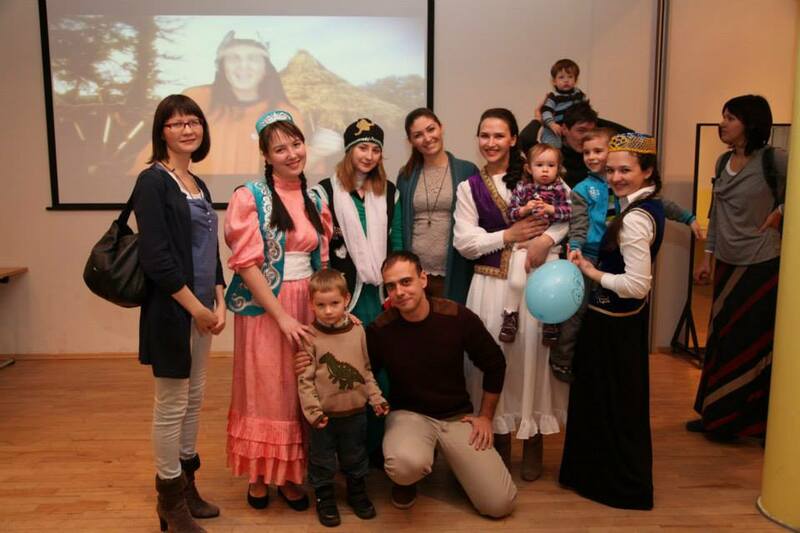 Our first event was Tatar’s Cultural Event - in the House of the National Minorities in November 2013. Despite the fact, that we did not give any advertising, came about 150 people. At that concert were singing Tatar folk songs, dancing Tatar folk dances, and were presented the national clothes and delicious Tatar cuisine. Afterwards bun-fight with goodies in a friendly environment amused all: people were happy to meet and get to know each other. After the show, we got a lot of positive feedbacks with a request to make such evenings a tradition. In year 2015 we decided to show our national color and identity within the concert of Turkic culture (Turkic Concert in Prague, short overview). A big concert has been presented to the audience by young representatives of Azerbaijan, Kazakhstan, Kyrgyzstan, Turkey, Tatars, who showed the diversity of cultures and identities of their peoples on stage. The concert program sounded folk songs and dances accompanied by traditional folk instruments and modern music. 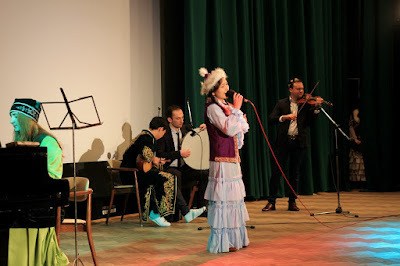 During the concert performers actively were helping each other – Turkish musicians accompanied Kazakh dancer, singer and duet with Tatar singer, Kyrgyz lady singer was also accompanied by a multicultural group of Turkish drummer, Kazakh dombra, Russian violinist and Tatar pianist. The representatives of Azerbaijan showed Highland incendiary dance, performed by a Georgian. 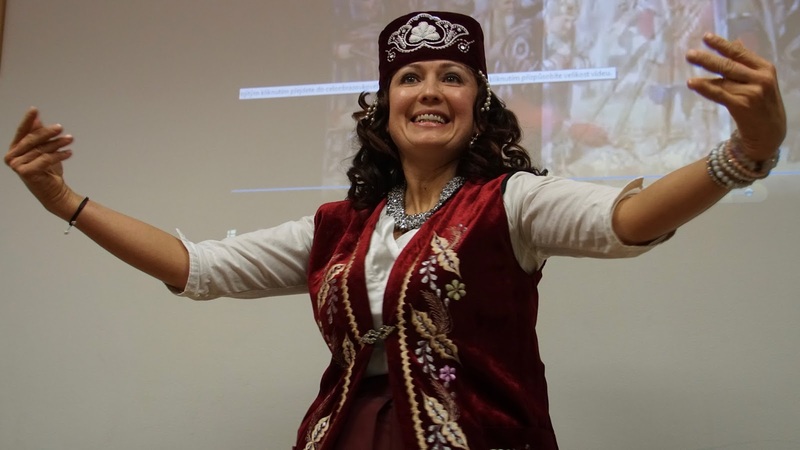 A pleasant surprise for the guests of the concert was the performance by the representative of the Tatar Diaspora, a soloist of the Prague State Opera, a professor at Prague Conservatory international Tahira Menazhdinova, who sang Tatar folk songs. Another pleasant surprise for the audience was the Kyrgyz team Zhagalmay with soloing dancer Gulsara and Gian playing the Kyrgyz national instrument komuz. Also, the attention was attracted by young Kyrgyz artist, having will performed songs of his own rap in native language. 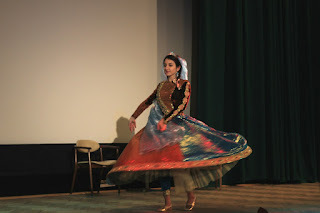 A kaleidoscope of colorful costumes, modern fast-paced and measured folk dances, traditional and contemporary tunes – all has so fascinated viewers that they simply did not notice the flying 2 and a half hour concert. Performances often interrupted with thunderous applause, shouts of approval: “Bravo!” The evening ended with a friendly cup of tea and a tasting of national dishes. Event attended by about 400 people. Among the guests of honor there were the Ambassador of Turkey in Czech Republic - Ahmet Necati Bigali, as well as employees of embassies of the CIS countries. 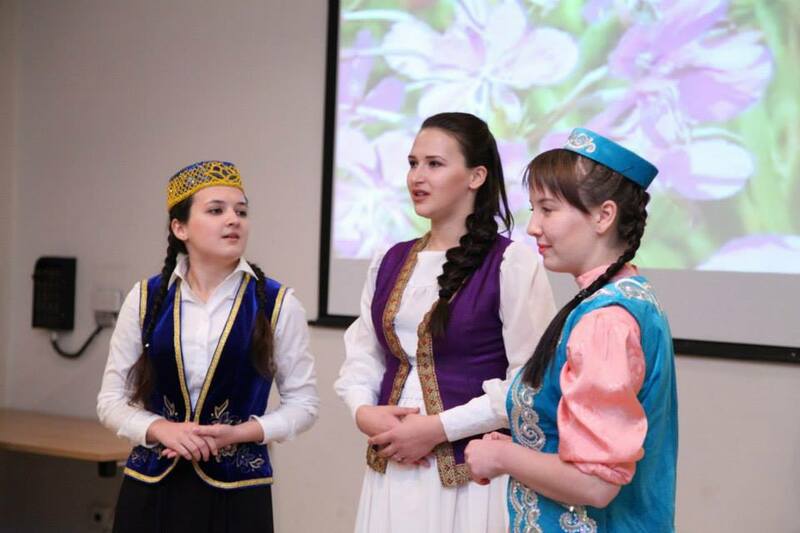 March 21, 2015 in the Russian Center of Science and Culture in Prague was held a concert dedicated to the spring holiday "Navruz" – spring New Year holiday according to the solar astronomical calendar celebrated by Turkic peoples. The event was opened by the KITAP chairman - Dania. The concert consisted of two parts: in the first the young artists performed songs of the Eastern peoples and played on national instruments. 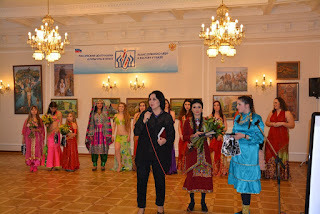 In the second part of the event was a competition "Miss Oriental Beauty". Bright student teacher - choreographer of oriental dance Natalia Nikolova, showed the audience bright dances with the variety of costumes, craftsmanship and beauty of oriental dance. The event ended with a festive tea party at which the guests were able to try dishes of national cuisine. 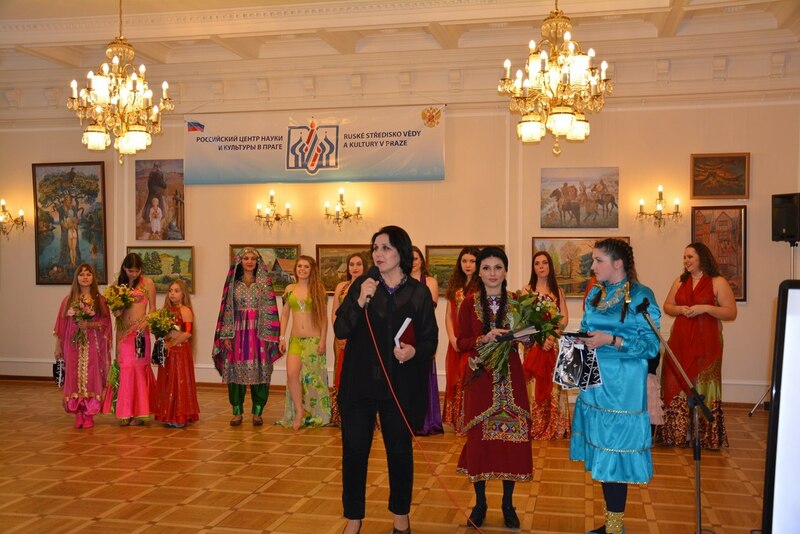 KITAP participated in 2015 in the international multinational folklor festival – Prague is the heart of the nations, and presented wonderful TATAR COLORIT in Prague. 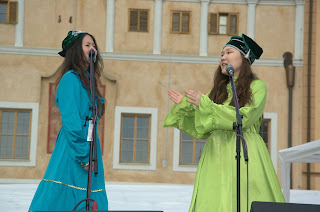 Two girls – Aliya Ahtyamova and Asylnar Kukueva sang Tatar songs on the main squares of Prague – in Traditional costumes. 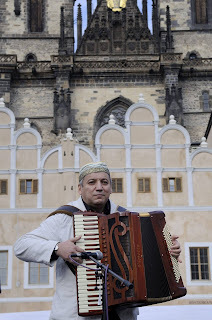 Golden accordion of Russia – Crimean Tatar virtuoso Server Abkerimov amazed the public not only in the Prague Old Town Square, but also in the amazing historical Theatre in Prague – Divadlo na Vinohradech. 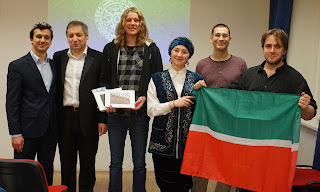 This year 2016 we organized a musical and poetry event "Music of Languages" Music of Languages (Hudba jazyků), where was presented traditional culture of Tatars, Turks, Azerbaijanis. On the stage sounded Tatar poet Gabdulla Tukai readed by the KITAP chairman Dania. It was followed by the well-known Crimean Tatar virtuoso, Golden accordion of Russia Server Abkerimov. 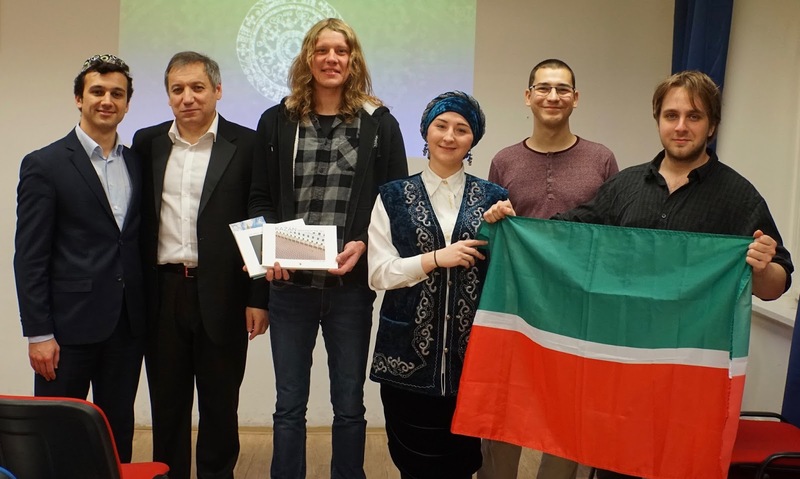 Representative of the Czech nation – Tomáš Boukal surprised the public by great performance on Turkic instrument - Dombra singing Altai song in Turkic language. Amazed everyone Yakut show and play traditional instrument of Sakha nation – Khomus - performed by Maria Shishigina-Palson. Turkish Saz or Baglama sounded differently as the music on them was presented by Altan Onat and Kemal Deniz. The Azerbaijanian representatives – Rashid Aghamaliyev played Tar mughalims, while Vugar Ali was reading Ghazali. 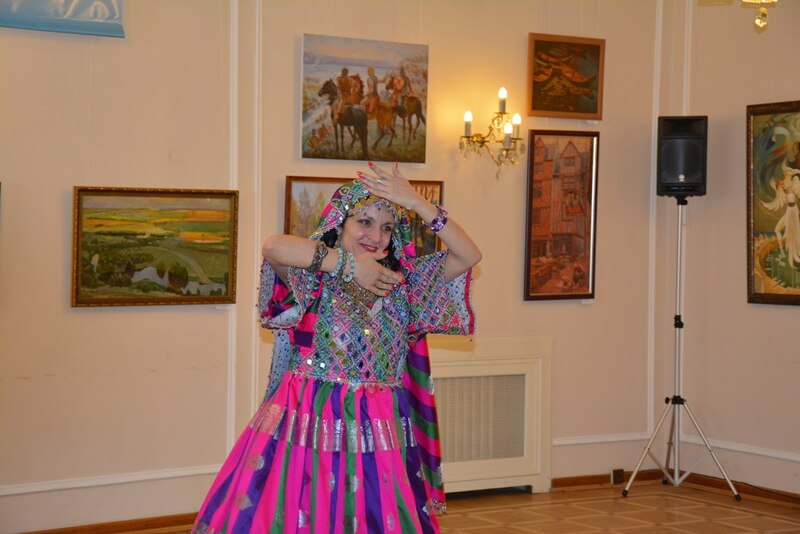 The official music part of the concert ended with the bright Tatar folk dances by KITAP chairman Lilia. 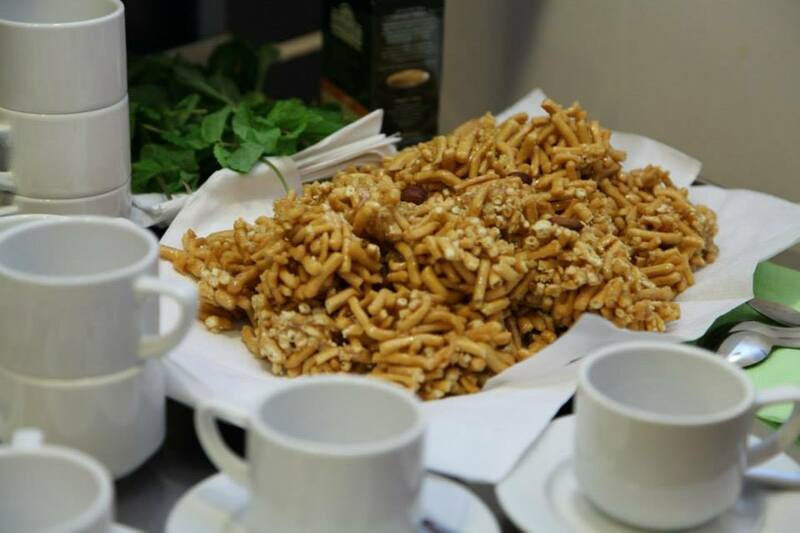 That concert was traditionally concluded with the Tatar goodies and tea.